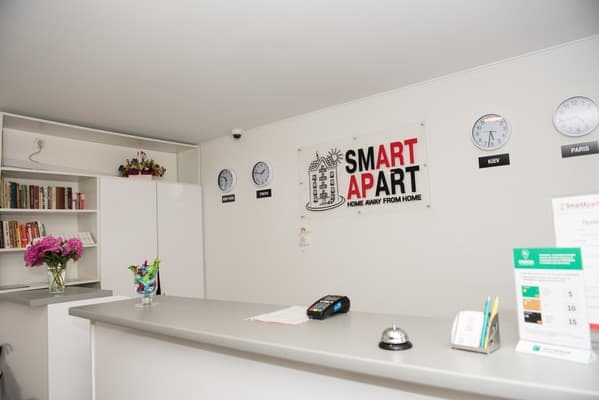 Smart Apart is located in the very center of the city, 10 minutes from the Roshen Fountain. 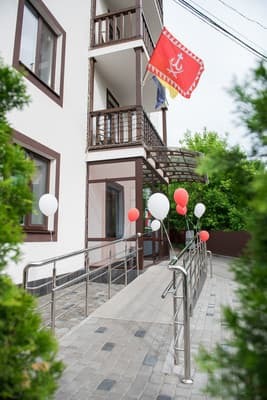 The good location of the hotel gives the tourist a compact access to all the sights and restaurants of the city of Vinnitsa. 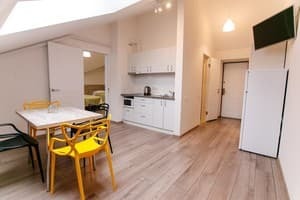 Smart Apart offers 27 comfortable studio apartments for double accommodation, apartments for five-bed accommodation and a hostel for 6-7 beds with a fully equipped kitchen. 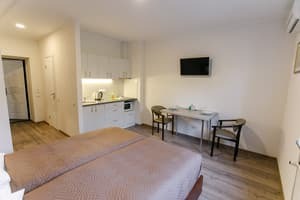 Description of the room: Room with two separate beds or one double bed. 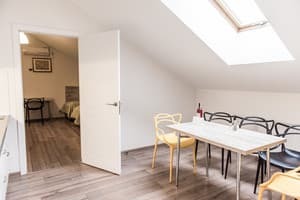 Description of the room: The apartment is 22 sq.m. 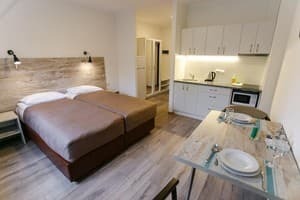 Description of the room: Spacious apartment for 2 people. 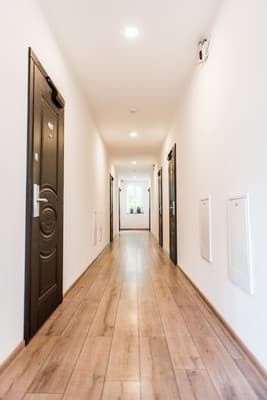 Description of the room: The apartment on the 5th floor has an area of ​​40 sq.m. Sleeping places are provided in the form of 5 beds. 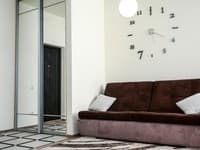 Description of the room: Apartment on the 5th floor with an area of 40 sq.m. 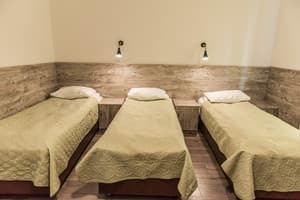 Beds are available in 6 beds. По возможности буду остановиться тут. Превосходно. Саме більше гарний, чарівний персонал. Немає ліфта - хостел на п'ятому поверсі. Понравилась обстановка номера, все чисто, аккуратно, ничего лишнего, хорошие кровати. персонал приветлив. В лобби есть кран с питьевой водой, чего не встретишь во многих отелях подороже. Соотношение цена-качество - супер. The apartment has a kitchen for self-catering. In the kitchen there is a microwave, refrigerator, kettle, dishes. 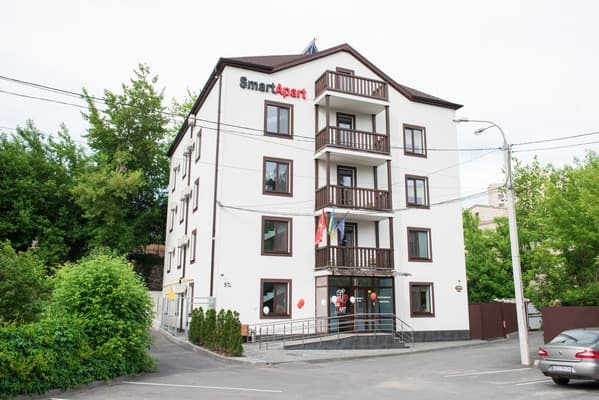 Apart-hotel "Smart Apart" is located in the very center of Vinnytsia, 10 minutes from the "Roshen" fountain. 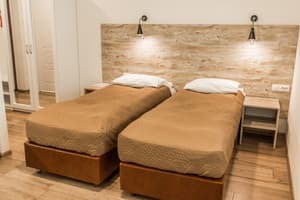 Apart-hotel "Smart Apart" is located 700 meters from Sobornaya Street, 4,2 km from the railway station, 3 km from the central bus station (Kievskaya street).